This fantastic luxurious property will ensure that you can really relax and enjoy your holiday. The interior is very modern and offers all the luxuries you could possibly wish for. In addition to the comfort inside, there is also a garden with comfortable patio. Here's where you can all enjoy being together outside in the fresh air. The main highlight of this holiday home is the wellness area. With a bar, a Finnish sauna, an infrared sauna, jacuzzi and loungers, you'll feel you've landed in a professional spa. During your stay here you really do get the chance to completely relax! 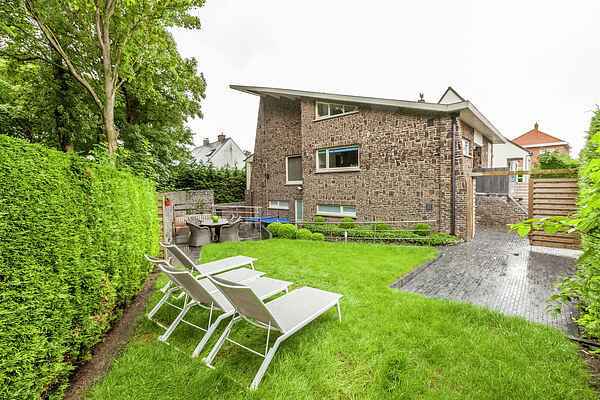 The sea and the beaches at Middelkerke are just 400 meters from the house, next to the park, in a pedestrian street. Have a lovely beach walk along the coast or take a refreshing dip. Although you are on the busy Belgian coast, the location is very quiet. You can discover the busy social life in the center of Middelkerke, a little further along. Visit a local café or the Casino. Fancy a day out? Go shopping in one of the nearby resorts like De Panne and Ostend; these are easily reached by car. Visit the North Sea Aquarium (Noordzeeacquarium), Fort Napoleon or Plopsaland De Panne.